We’re very proud of our reputation for providing exceptional customer service. 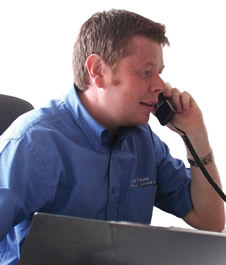 Whether you need information about a vehicle, or a solution to a particular problem you’re facing; we’re here to help. Our experienced staff are always happy to chat through your vehicle requirements and can provide advice to help you choose the right commercial vehicle or tipping trailer. Every member of our team is dedicated to providing service, quality and dependability – it’s what’s kept us at the forefront of our industry for almost 40 years. Our vehicle servicing department is here to ensure your vehicles are in top condition and fit for purpose. We have our own workshops where we regularly fit sets of tipping hydraulics onto both our own and our customer’s units. We also provide servicing for our local customer’s vehicles and trailers as well as looking after vehicles from our contract hire fleet. Our finishing division ensures that every vehicle is carefully checked before leaving our premises, giving you the peace of mind that your new vehicle is in top condition and fit for purpose.